Apparently Jason Chen doesn't write for the Chicago Sun-Times. Their tech writer Andy Ihnatko ripped the player a new one last week (maybe just upset that he was the last person in history to review the Zune). Still, he had some nice quotables that attack the music industry in a tone you usually reserved for seedy tech repositories like Gizmodo. The installer app failed, and an hour into the ordeal, I found myself asking my office goldfish, "Has it really come to this? Am I really about to manually create and install a .dll file?" You'll find that the Zune Planet orbits the music industry's Bizarro World, where users aren't allowed to do anything that isn't in the industry's direct interests. Microsoft's colossal blunder was to knock the user out of that question and put the music industry in its place. 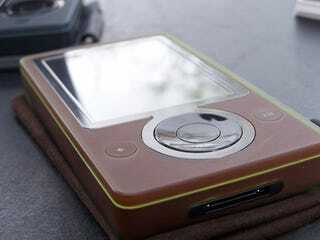 The Zune will be dead and gone within six months. Good riddance. So did he like it?